The reconciliation with your Twin Flame or reintegration of primal opposites is a momentous personal celebration. You emerge through the Level 5 doorway into the alchemical marriage within - where your archetypal masculine and feminine energies are given the space to fuse together as a new sacred androgen. 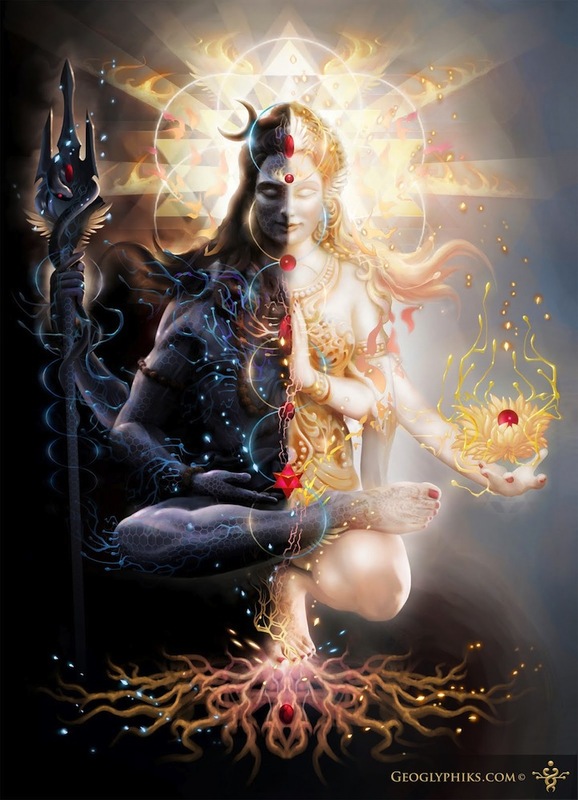 This allows your male side to fully presence and claim your female side and vice versa where your female nature fully recognizes and honors your male nature as an amalgamated whole. The two mirrored strands from Divine Mother/Father Source break-out, like a sprout, from the deepest recesses of your internal creator and creatrix to unleash your vulnerabilities within an atmosphere of courageous love. Thus, the ‘Twin Flame’ consciousness ignites the sacred fire that merges both the positive and the negative charges acting upon the canvass of your inner life. This gift bursts open by accepting and embracing all that you are - from both the dark and light - into a synergic web of radical self-love and self-acceptance. This dynamic tension sprouts into a recognition of all of your strengths, as well as all of your weaknesses, and becomes the fuel for your Twin Flame higher self to resolve the old push / pull tendencies into a multi-dimensionally synthesized framework. Your free will enables you to call forth your own complimentary energy pattern to resolve the hidden judgements that unwittingly cause schisms in your living experience. Then, a field coherence - referred to as your at-ONE-ment with God or Great Spirit - beckons your twin flame soul essence to anchor a grid of absolute LOVE that supports you on the journey of facing all the dynamic aspects of yourself. This physics of Creation empowers you to restore the two co-creative energetic forces back into a conscious partnership within the vortex of your own heart.